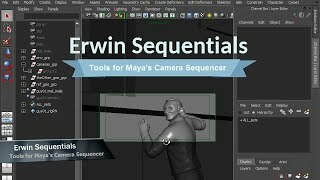 Ewin Sequentials is essential for Previsualization & Animation! Navigate between the main timeline and the camera sequencer timeline. Be able to clean up all keyframes to be on whole frame numbers and not on fractions of a frame without losing the animation curve’s shape and performance. “commit” the camera sequencer’s timeline to the main timeline. Quickly re-time animation with the camera sequencer and commit the new timing to the timeline! Export shots into their own Autodesk® Maya® files. Create new baked down animated cameras for each shot as well as be able to create a master camera. + tested on Maya 2018 + Bug Fix: compensate for keyTangents python command bug in Maya 2016. Very useful set of tools! Now I can't work without them! :) Erwin also helped me through the process of installation. C.
Great Tools for Layout. 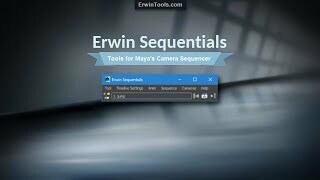 This is the Camera Sequencer full version!